In the animal world, not everything is as it seems What appears to be a snake turns out to be a butterfly, and what looks like a fish is actually a sneaky octopus! 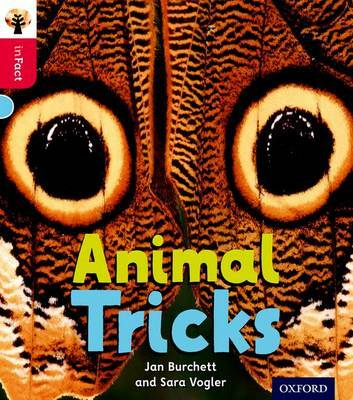 Readers will enjoy turning the pages to reveal the animals' secret identities, all explained and illustrated with detailed photographs. Oxford Reading Tree inFact is a compelling non-fiction series that aims to engage children in reading for pleasure as powerfully as fiction does. The series includes 36 titles which are all phonically decodable, with some high-interest topic words to develop vocabulary and impart knowledge. The imaginative approach and variety of intriguing topics mean there are books to interest every child. The books are carefully levelled, making it easy to match every reader to the right book.